while you concentrate on your business. 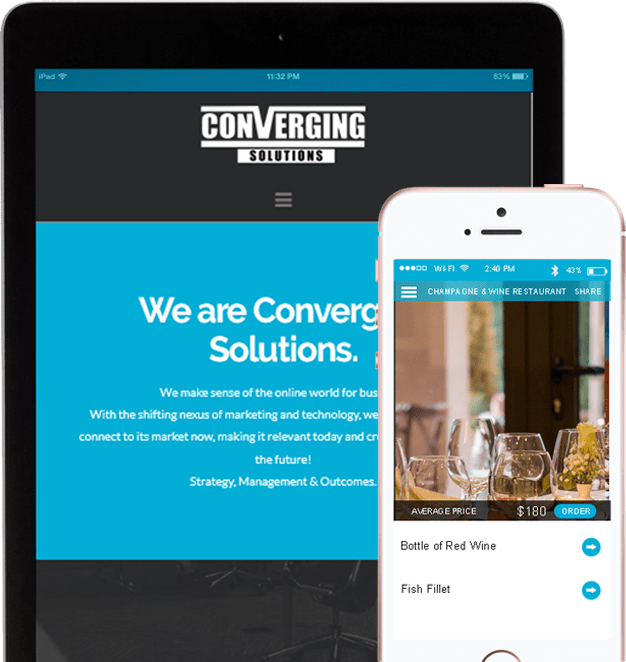 At Converging Solutions, we don’t just build websites but we create a fully integrated online marketing presence for your business. With more than fifteen years’ experience in this field, we know what it takes to deliver business through an online presence, and it is different for every category. Our history of building websites and social media sites for Consumables, Food, Finance, Make Up, Industry, Make Up, Retail/eCommerce, along with integration of third party systems, means, we understand business and what it needs to communicate; that is our single biggest skill. A visually appealing website is key to engaging a prospective buyer (of your product/service) in a conversation. Hackers are on the move. Our hosted sites haven’t been hacked in over 10 years. Visitors leave, never to return, if your site loads too slowly. We guarantee the sites we build will load to Desktop and Mobile in 70 plus (Google measure) naturally conditions apply, regarding your content and images. Check our site’s speed here. We help your visibility on search engines, by building your site with Google specifications in mind, our base website package means starts out being “recognised”, you can then take programmes to get your site up the rankings, 6 month packages start from $500 per month. Today, searching can still be challenging for businesses, more because of competition than lack of comprehensive search engines. Websites are measured against search engine criteria and need to be designed with this in mind. This is our starting point at Converging Solutions, we help you, not only create a website that works, but offer the services such as SEO(Search Engine Optimisation), Social Media Management and Blog Services that enable site “visibility”, in addition, we have an Email Marketing and Tele-Influencing Services. These sorts of services were once performed by Inside Sales Departments, but today, it is way simpler and so much more cost-effective to outsource these services. google? Let us help you. site, more for a custom site. Be trending in the social media. made for your company’s operation. Your online marketing begins with Converging Solutions. We have the business expertise and experience to ensure your online Asset works i.e. it doesn’t just look pretty, it has its sleeves rolled up from Day 1. Our packages start from $1750 for a basic website, with initiated SEO programming, mapped to Google Maps. For a small additional fee we can build sites on social media to build a seamless presence for your business. We will give you the latest report about your website, regularly. Check Out Our Latest Deal Today! After years of bad experiences with web developers not listening to my requirements and supplying me with websites that didn’t work, I decided that I wanted to engage something with a bit of maturity and life experience. After extensive discussions, I engaged Converging Solutions as I felt that Richard truly understood my business needs & would be able to deliver a functioning website. Overall the build went well and any issues that did arise were dealt with quickly and professionally. I now have a working website that is SEO optimised and bringing me extra sales on a daily basis. I can happily recommend Converging Solutions. They have conducted themselves with honesty and integrity throughout my build, as well as delivering me a quality website that will pay for itself in no time. Mann&Noble are a sales, marketing and distribution operation. 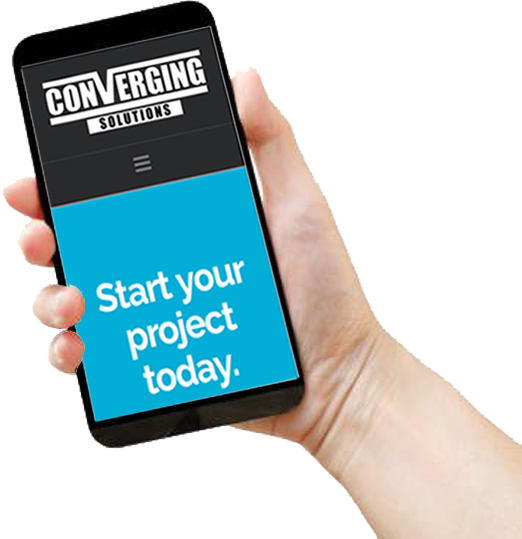 We chose Converging Solutions to develop a range of websites, some with eCommerce capabilities, while others have been more strategic communication vehicles. We have found Richard O’Neill and Converging Solutions to be both creative and highly responsive to our requirements. Our company has been using Converging Solutions to develop several website and system over the years and the quality of their work has been remarkable. Their latest development and implementation of a WordPress was efficient and the Converging team was readily available to address any query or issue. Their technical expertise allow us to easily integrate with third parties and the hosting provided has been without hiccups. I would (and have) highly recommend Richard and his team for anyone looking to build a website without worrying about the quality of the outcome and its timing. It is important that your website is compatible in every web browser, especially in mobile where people usually visits website so we make sure that every website we built is compatible to every browser.